Every aspiring parent spends some time fantasizing about what their hypothetical future child might look like. Now one startup claims it can actually tell you what your unborn future children will look like, based on DNA. 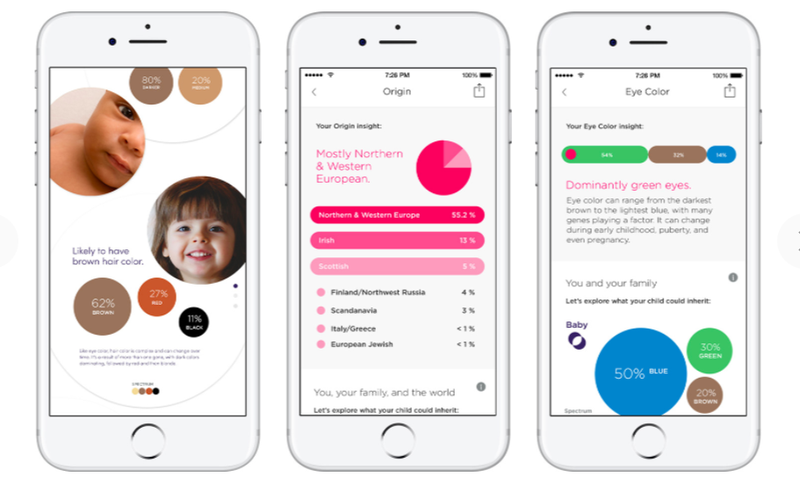 Last week, the Denver-based genomics company HumanCode launched BABYGlimpse that uses DNA to make predictions about what traits a child may or may not inherit. “Go way beyond eye color prediction and ultrasound photos for personalized insights based on the combined DNA of couples,” the website advertises. Finding out what your future child will look like will only cost you $349. The startup is one of the DNA “apps” in genomics company Helix’s app store for DNA. And eye color is a relatively simple genetic trait. Height, for example, is the result of complex interactions between thousands of genes. And your genes don’t determine everything about who you are. Your environment and lifestyle also play a major role. HumanCode claims it makes projections “using machine learning and neural networks to create the most accurate polygenic risk scores.” In other words, they are using fancy algorithms to make an educated guess on how all your different genes might interact with your partner’s genes. The company says it looks at traits including ancestry and physical appearance, as well as things like allergies and personality. Rather than saying that you and your partner will definitely have a kid with blue eyes, they give a probability—say that there’s a 50 percent chance they’ll wind up with blue eyes, or that it’s likely they’ll be tolerant of milk or the sun. But it’s difficult to tell what someone looks like even from their own genetic code. Last month, the biotech firm Human Longevity published a paper claiming that it can do just that, but was quickly debunked by naysayers pointing out that the projections were mostly based on attributes like race and really looked nothing like the people they were intended to be. Similarly, Parabon Nano-Labs has been working with police for years to help solve cases by predicting the physical appearance of unknown people via DNA. That technology, too, though, is little more than a high-tech composite criminal suspect sketch. HumanCode, though, is upfront about the fact that their technology is really not good for much more than an entertaining gift for parents-to-be. Could a DNA Test Really Predict What You Look Like? Is Genetics the Answer to Birth Control For Dudes?